Only two more weeks to get your proxy bid in for the Lights of Hope Auction item…. TWO Round trip tickets to Ethiopia on Ethiopian Airlines and a week all inclusive stay at Ethiopia Guest House. For more info on item click here. People often say that to fully understand a culture you should fully immerse yourself in it. That definitely stuck in my mind when we decided to stay in Addis Ababa for an extended period during our adoption process. Before leaving the U.S., I wondered what it was going to be like, how we were getting around, how tough the language barrier would be and how, we, as Americans adopting an Ethiopian child, would be received. 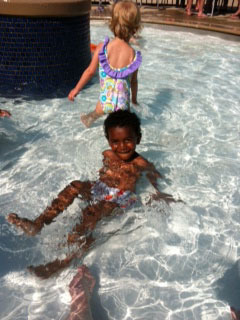 The planning and the paperwork of our adoption process, culminated into a crescendo of emotion in one singular event. I distinctly remember my thoughts on the first morning we woke up in Addis. The two days prior, we were travelling and it was definitely a blur of eating, watching movies, half sleeping, and reading. I think I read the description of our Ethiopian Airlines plane like fifty times (I highly recommend Ethiopian Airlines, by the way). 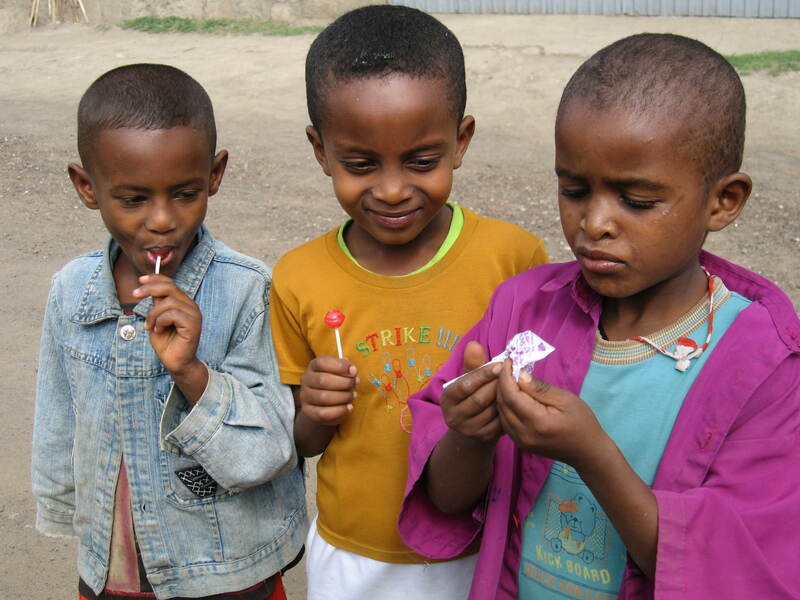 We had heard many descriptions of Ethiopia from friends and fellow adoptive parents who blazed the trail before us and mixed those descriptions with travel books and countless blogs. I remember opening my eyes that morning to the slight glow of the digital clock, and heard rain hit the roof of our guest house along with other countless tin roofs around us like a natural steel drum band. In between beats, we could hear the slight drone of morning prayers, the crow of a local rooster and the sounds of dogs playing. The smells were unfamiliar and I was in a kind of shock. I thought to myself, “man, everything I’ve read, the pictures I’ve seen, and the stories I’ve heard did not prepare me for this moment”. It was a cyclone of excitement, tiredness, newness, fear and uncertainty all rolled into a Wizard of Oz-like twister that swallowed me up and dropped me off in some foreign land. I didn’t know what to expect. Before I opened the door to go downstairs for breakfast, I stopped and sighed and said to myself, “Here we go…” Breakfast was fine, talking with other families and discussing the exciting events from the day before. The emotional high of getting into town, the emotional peak of meeting our child for the first time, and the anxious anticipation about what the new day held for us. The next few days were a whirlwind. After court, we travelled north to the beautiful town of Lalibela to tour the spectacular rock-hewn churches. I was in my personal photographer’s heaven. 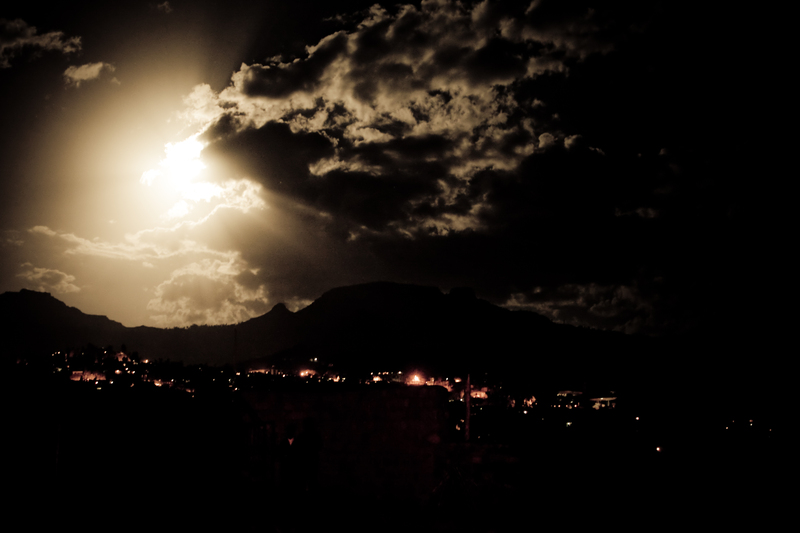 The churches were amazing, but my favorite memory was an electricity-free moonlit night. There was a major power line miles away that was taken out by a truck, so the small town was without electricity for almost 24 hours. My wife and I decided to walk the main road that night. A lot of the townspeople were out walking as well, our collective paths lit by the full moon. It was weird because I’m so used to street lamps competing with the moon for light, and I couldn’t believe how bright the moon was that night. I felt like I walked into a scene from the past, and thought about how the town must have been years ago before electricity. We walked down the street and exchanged greetings with local people as we passed. 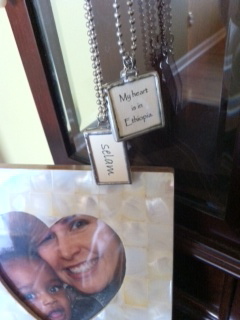 I felt so at home that night and that feeling was constant throughout our time in Ethiopia. Ethiopia isn’t a place you can really describe with pictures and words. It is a place you have to feel for yourself, a place that you have to smell and hear and feel upon your skin. To get a full sense of what the country is about, you have to talk with the people, hear their stories and laughter and experience their hospitality. 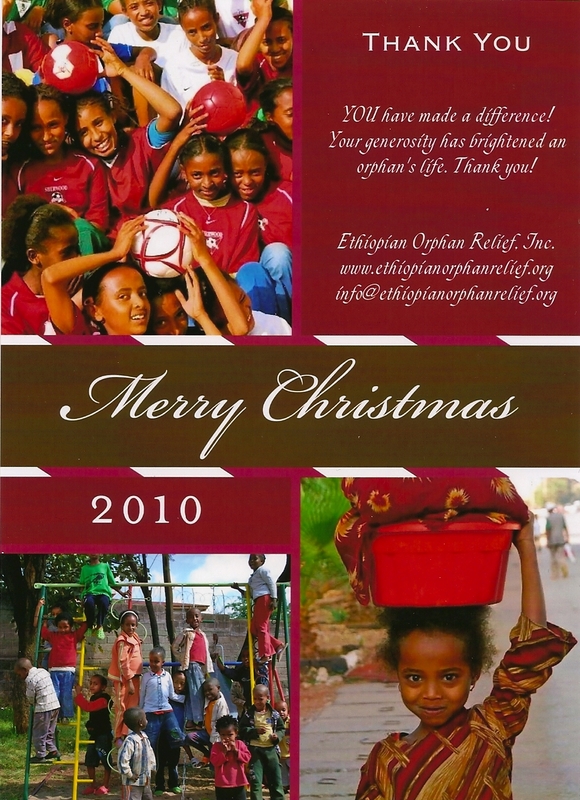 I’m excited about the trip to Ethiopia that Ethiopian Orphan Relief is auctioning off in May because, if I am the winning bidder, I will be able to temporarily fill the Ethiopia-shaped hole in my heart. The trip includes roundtrip airfare from Washington D.C. to Addis via Ethiopian Airlines and a one-week stay in the nicest suite available at Ethiopia Guest Home. For complete details, airline blackout dates, etc., see the original post. If you aren’t attending the auction but want to place a proxy bid on the trip, please contact Kim at kim@ethiopianorphanrelief.org. 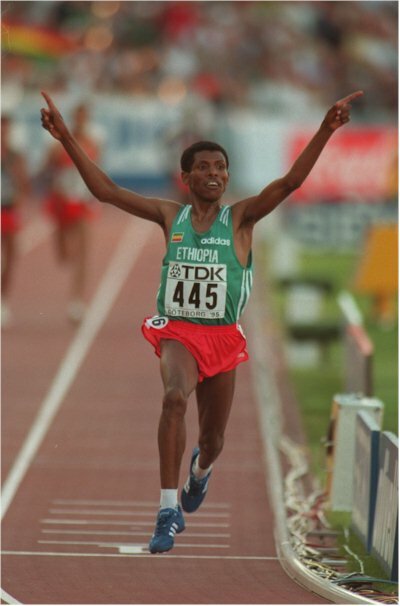 In Ethiopian News Today: Will Haile Gebrselassie miss the Olympics this year? It doesn’t seem like the Olympic games are upon us … at least not to me. But apparently, the 2012 Summer Games are upon us! Of course, with our love for everything Ethiopian, we always root for the Ethiopian distance runners — particularly, the famed Haile Gebrselassie. But in the news today, I read that Gebrselassie may not qualify for the event this year. At 39 years old, the distance-running legend finished fourth this Sunday in a qualifying race in Tokyo last weekend, meaning that his chance to qualify for the Ethiopian team is in jeopardy. As disappointing as that must be for him, and for his fans, I’m sure I speak for fans around the world when I say we will always consider him one of Ethiopia’s — and the world’s — greatest athletes! 2012 Olympics or not! Ethiopia’s New Year’s Day (or Enkutatash) is celebrated in September towards the end of the big rains. Unlike the 1 January date, which is comparatively arbitrary, New Year’s Day in Ethiopia marks a new season and a new beginning. The grass is green, the sun has come out, and there is fresh food to be harvested. 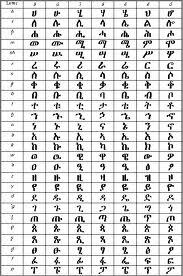 Apart from the cyclical explanation for the timing of Ethiopian New Year, there is also a legend which maintains that Enkutatash is celebrated to commemorate the return of Queen Sheba from Jerusalem. 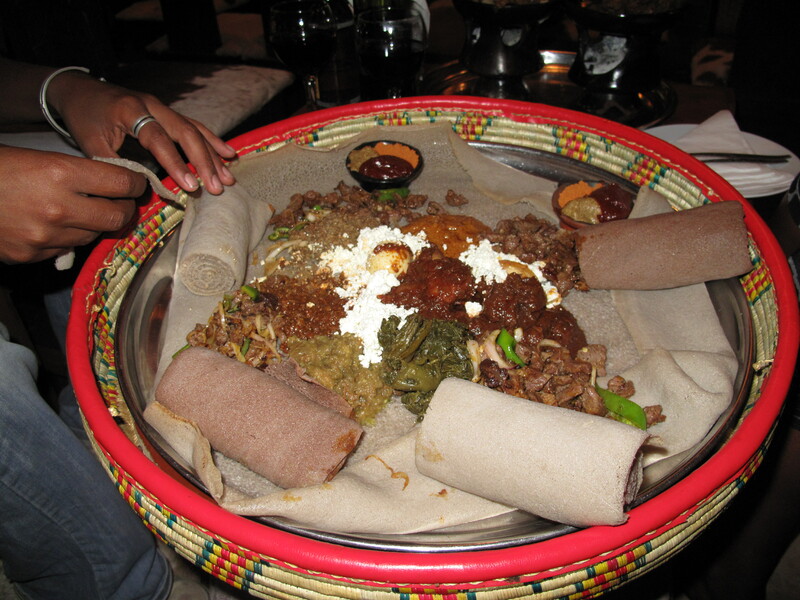 Presently in Addis Ababa, New Year’s Eve is spent feasting and partying. On New Year’s Day, the house is decorated with pretty little yellow Meskal daisies. Children make gifts of colorful paintings or spring flowers to give to their family and friends. 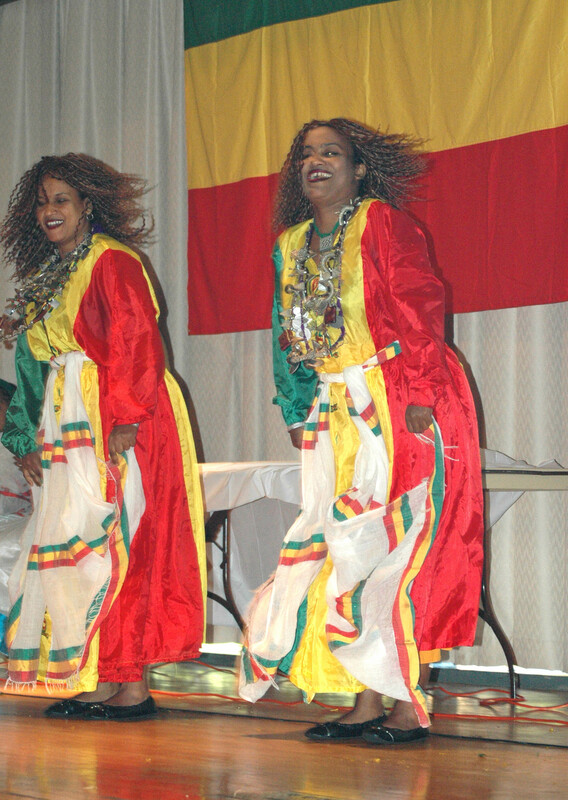 Girls, dressed in their new Ethiopian dresses and armed with a kabero (small drum), go from house to house singing a special Enkutatash song, in return for some money. The main religious celebration takes place in the 14th-century Kostete Yohannes church in the town of Gaynt, in the Gondar region. Three days of prayers, psalms, hymns and sermons, and huge colourful processions mark the advent of the New Year. Closer to Addis Ababa, the Raguel Church, on top of the Entoto Mountain north of the city, has the largest and most spectacular religious celebration. In the United States, Enkutatash is typically celebrated on or around September 11th. Public celebrations of Enkutatash often occur on the weekend before or immediately after the ‘official’ holiday. This year, in consideration of the bigger 9/11 commemorations as well as the Ohio State Football schedule, the Columbus Ohio celebration will be held on September 18th, from 10-6. Each year, as the workload for the Enkutatash celebration increases, I think, “This will be the last year I help to plan. Next year, I’ll attend as a guest.” This notion is quickly shunted aside, but I’d be lying if I didn’t think it would be nice to spend summer doing a little less. BUT, then I go to the Ethiopian Tewahedo Social Services office for an Enkutatash meeting with my Ethiopian daughter by my side. In an instant she is surrounded by a half dozen Ethiopian adults she has known for the last 3+ years. By the end of an hour, she’s spent time chatting with another half dozen Ethiopian adults, all eager to bestow kisses and greetings. This link to the Ethiopian community means more to me than any summer afternoon spent at the zoo, or picnic in the park. My daughter will grow up with Ethiopian friends to play with, she’ll know families that look remarkably like ours, but she also have adoring Ethiopian adults in her life, and Ethiopian friends who grow up in families who look little like ours. And so, despite the large part of my grey matter that yells, “too much” when I add another commitment to my schedule, I will continue, whole-heartedly to plunge in to the Ethiopian community whenever I am asked. These relationships, like the Queen of Sheba’s jewels, are priceless indeed. In a few short months Ethiopian Orphan Relief will be heading back to Ethiopia to check on our projects and meet with our partner organizations and talk about future needs. As you can imagine we will have several suitcases filled with donations for the kids in Ethiopia. Last time we traveled it was quite the scene at the Portland airport as Lauren (partner & project chair) and I (okay I’ll admit it, it was me) checked into the airline ticket counter to the horror that my bags were WAY over the weight limit. 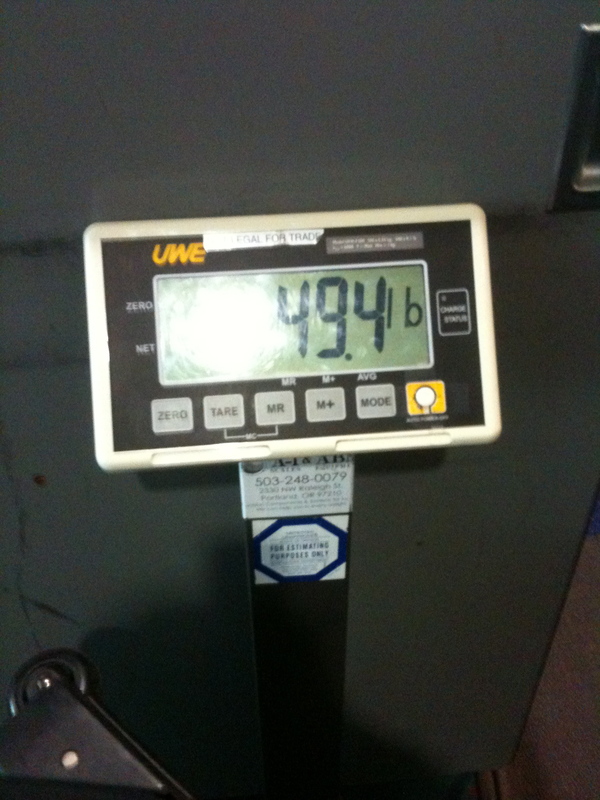 I had tried so diligently to stay within that 50 pound mark but it became obvious that the hand held scale I was using to weigh my bags was defunct. Luckily Lauren’s bags had weight to spare so we hastily moved blood pressure cuffs, medical equipment and the 6 pounds of dum dum suckers into her suitcase. So I come to you our friends….please share your favorite packing tips with me…as clearly I need all the packing help I can get. p.s. please don’t say “don’t bring the 6 pounds of dum dum suckers.” The kids loved them and Lauren did too. 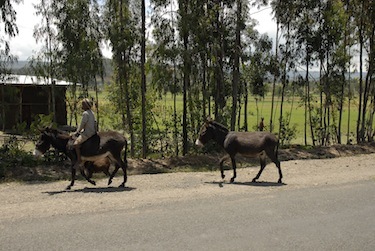 I have mentioned numerous times how I miss the donkeys in Ethiopia. I have joked with my husband that we really should get one. Then I read an article from the Equine Chronicle about the importance of donkeys in Ethiopia. The article states, “…at least 40% of households surveyed said donkeys helped reduce women’s work while all communities said equine animals were economically important for rural and urban communities for all wealth groups”.